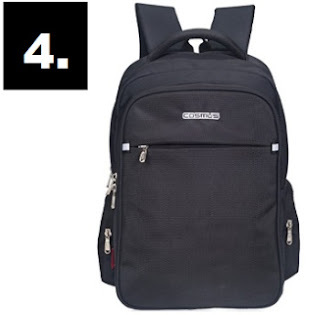 pixel Top 5 Best Laptop Bags Under Rs. 2000 in India That You Can Buy ! Top 5 Best Laptop Bags Under Rs. 2000 in India That You Can Buy ! 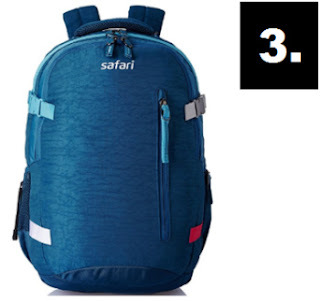 तो चलिए दोस्तों अब आपका ज़्यादा समय बर्बाद ना करते हुए हम आपको उन Top 5 Best Laptop Bags के बारे में बताना शुरू करते हैं, जो आपको 2000 रूपए के अंदर मिल जाएँगे | लेकिन अगर दोस्तों आपका बजट 1000 रूपए तक का है तो आप हमारे इस वाले पोस्ट को पढ़ सकते हैं - Top 5 Best Laptop Bags Under Rs. 1000 in India That You Can Buy ! 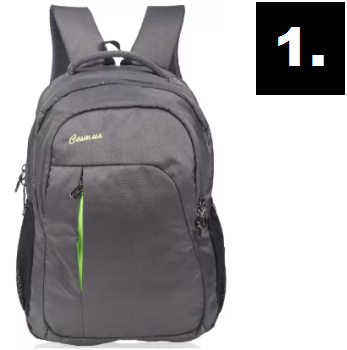 This Bag is One Of The Best Laptop Bag Under Rs.2000 in India. Free Rain Cover Included in Bottom Zipper Pocket. It is Very Stylish & Durable Professional Laptop Backpack. Laptop Compartment is Well Cushioned For Up To 15.6 inch Laptop. Weight Of The Bag is 700 gm & Dimensions is 13.50 x 18.75 x 9.5 inches (WxHxD). It Comes With 2 Large Compartments + 1 Easy Access Front Pocket With Organizer Section & 2 Mesh Side Pocket. 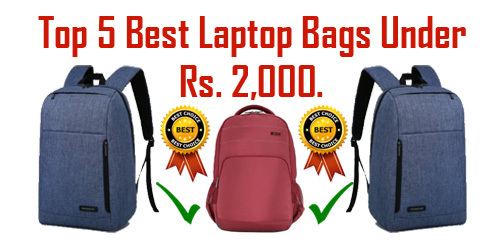 This is The Second Best Laptop Bag Under Rs.2000 in India. Free Rain Cover is Included in This Laptop Bag. Outer Material Of The Bag is Made Up Of With Fabric. This Laptop Backpack is Ideal For Both Men And Women. It Comes With 1 Year Of Domestic & Manufacturer Warranty. Weight Of The Bag is 630 gm & Dimensions is 36 cm x 20 cm x 44 cm (LxWxH). For Any Queries, Call At This Toll Free Customer Care Number - 1800 102 2256. It Comes With 2 Large Compartments + 2 Small Ones with Organizer Section Which Are Also Well Placed. This is The Third Best Laptop Bag Under Rs.2000 in India. Outer Material Of The Bag is Made Up Of With Nylon. Free Key Holder And Rain Cover is Included With This Laptop Bag. This Laptop Bag Comes With Three Compartments And 1 Side Mesh Pocket. It Comes With 18 Months Of Manufacturer Warranty From The Date of Purchase. Bag Strap is Adjustable With Tapered Construction For Bottom Of Shoulder Strap. Weight Of The Bag is 810 gm & Dimensions is 48.7 cm x 31 cm x 34 cm (LxWxH). This is The Fourth Best Laptop Bag Under Rs.2000 in India. Free Rain Cover is Included in Bottom Zipper Pocket. It Has 2 Compartment + Laptop section + 1 Large Front Pocket. This is a Sturdy Durable Laptop Backpack For 15.6 inches Laptop. 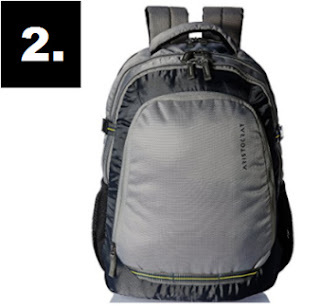 It Has Two Side Zipper Pocket With Water Bottle Lock Sturdy Zip & Excellent Cushioning. Weight Of The Bag is 900 gm And Dimension is 18.75 inch x 12.75 inch x 7.75 inch [HxWxD]. It Comes With 1 Year Of Warranty Against Manufacturing Defects From The Date of Purchase. It is Made From Hi Grade 1680D PU Coated Polyester Fabric & Features a Well Organized Design With High Quality Fittings. This is The Fifth Best Laptop Bag Under Rs.2000 in India. This F Gear Luxur Laptop Bag is Water Resistant or Water Proof. It is a Very Popular, Compact And Good Looking Bag From F Gear. This Laptop Bag is Compatible And Designed For 14 To 16.5 inch Laptops. 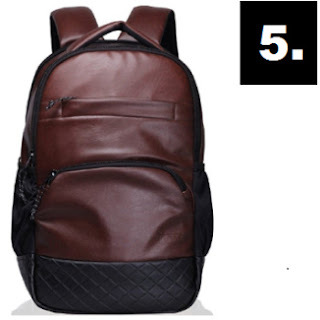 The Outer Material Of The Bag is Made Up Of With Synthetic & Color is Brown. Weight Of The Bag is 798 gm & Dimensions is 34 cm x 20 cm x 52 cm (LxWxH). It Has 2 Compartments And It is Suitable For Both Men And Women For Day To Day Life. 1.) Top 5 Best Smartphones Under Rs. 8000 in India That You Can Buy Online ! 3.) Top 5 Best Wireless Mouse Under Rs. 1000 in India That You Can Buy Online ! 4.) How To Change Display Orientation in Windows 10 Step By Step in Hindi ? 5.) Top 5 Best Portable Wireless Bluetooth Speakers Under Rs. 1000 in India That You Can Buy !